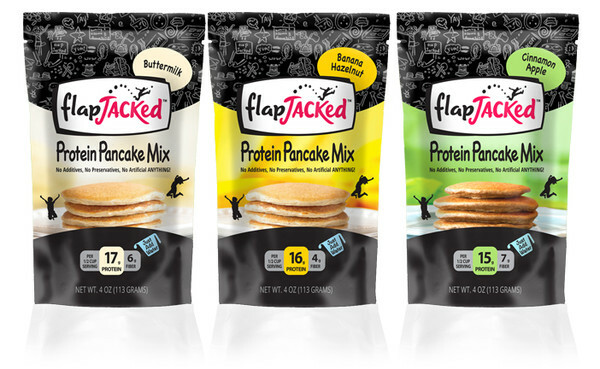 The all-natural line of pancakes comes in three delicious flavors: Buttermilk, Banana Hazelnut and Cinnamon Apple and boasts only 200 calories per serving alongside 15-17 grams of protein. 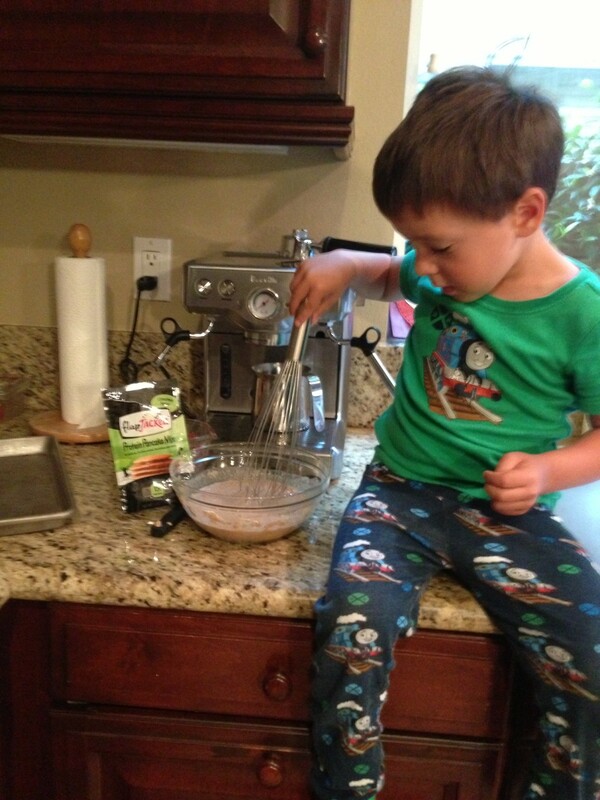 (Check out the impressive and nutritious ingredients list!) 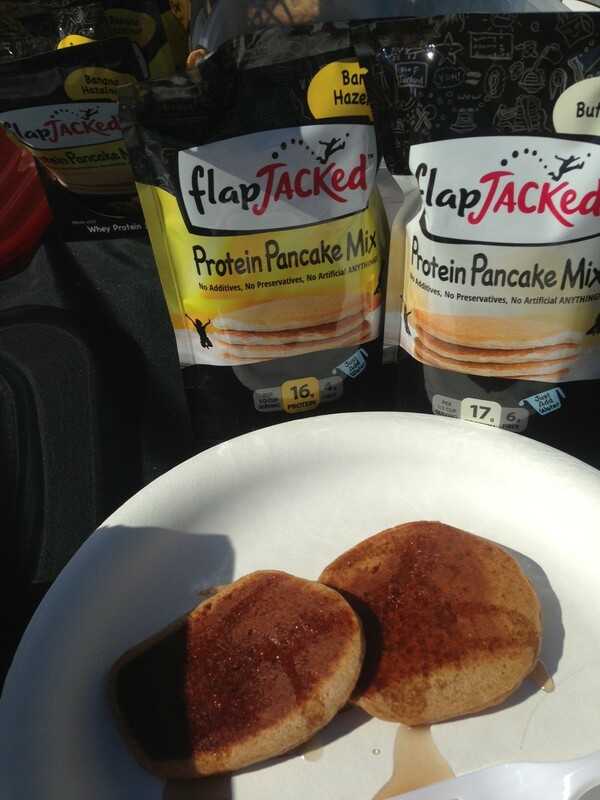 The addition of protein and fiber work to prevent that sugar “carb crash” that usually follows an hour after eating regular pancakes or a sugary breakfast, making FlapJacked a great choice for a satisfying and performance boosting breakfast. 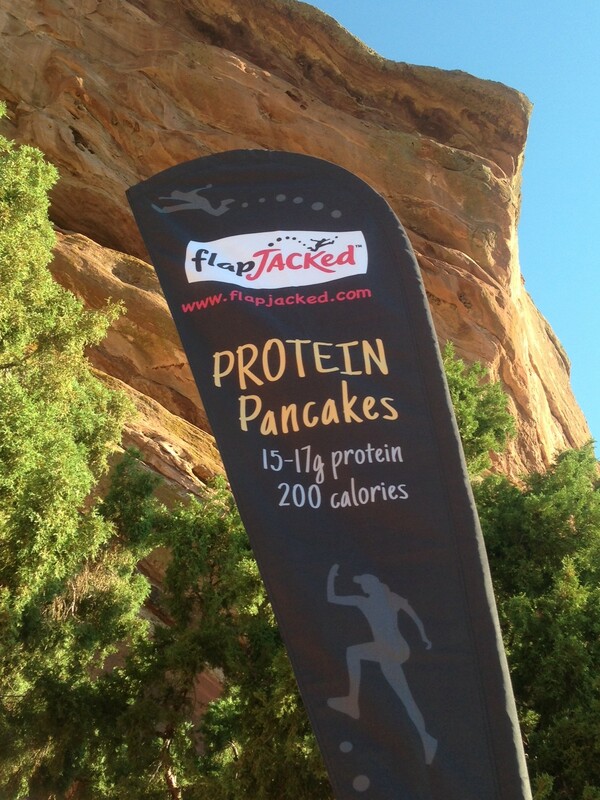 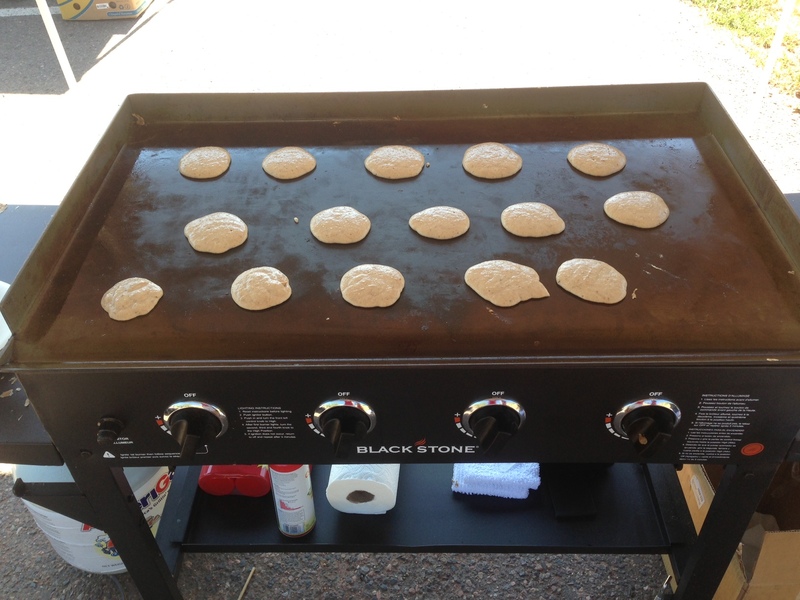 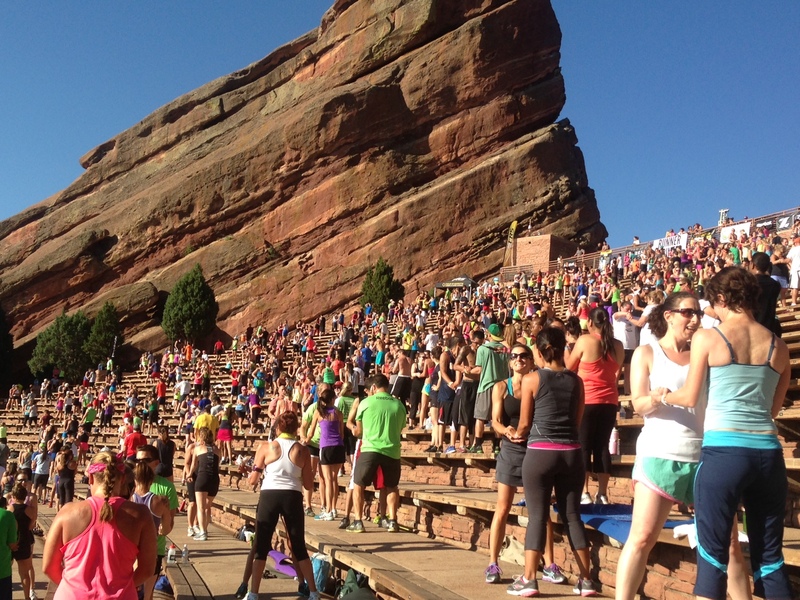 This past weekend, Sarah met up with FlapJacked in Morrison, Colorado at the famed Red Rocks Amphitheater for Fitness on the Rocks–imagine 10,000 people working out together, in a gorgeous outdoor stadium, set to the tune of electrifying techno beats and of course refueling with FlapJacked pancakes! 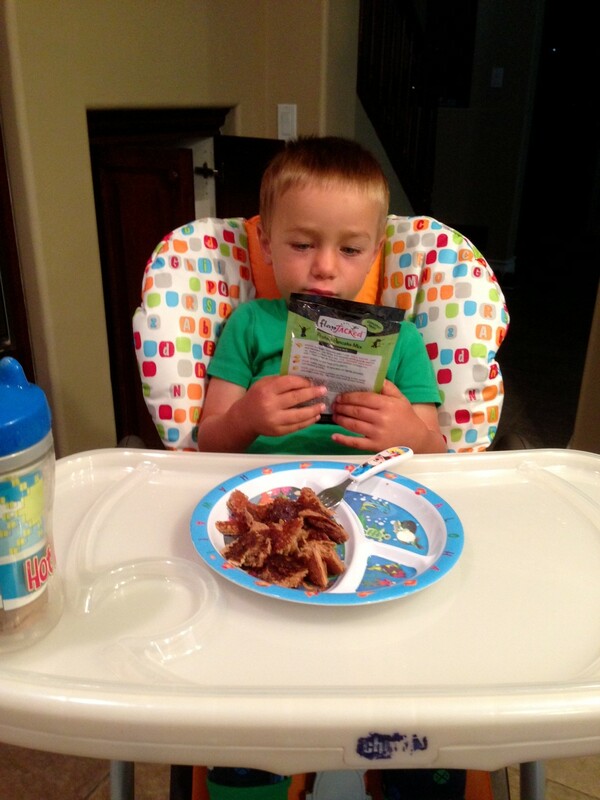 We love their brilliant branding, which you’ll see popping up on retail shelves soon! 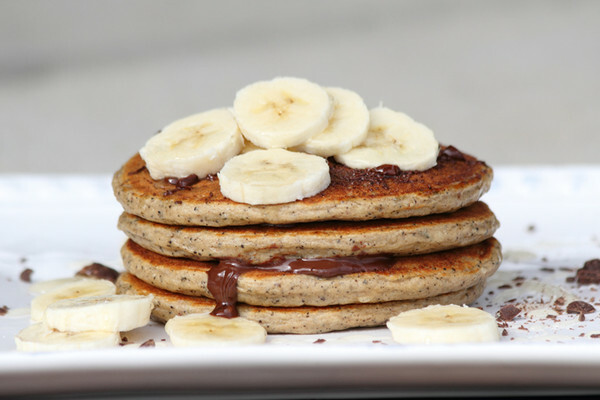 You are getting very hungry! 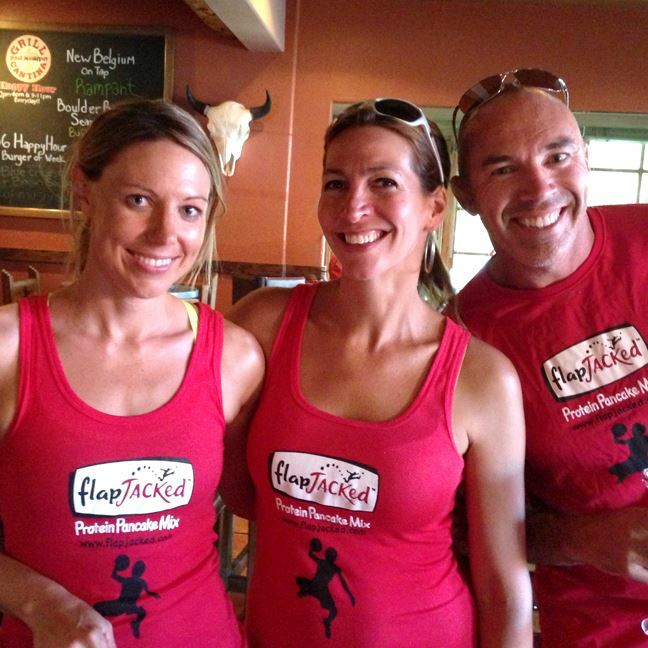 Sarah with Co-Founders of FlapJacked, Jennifer and Dave Bacon.